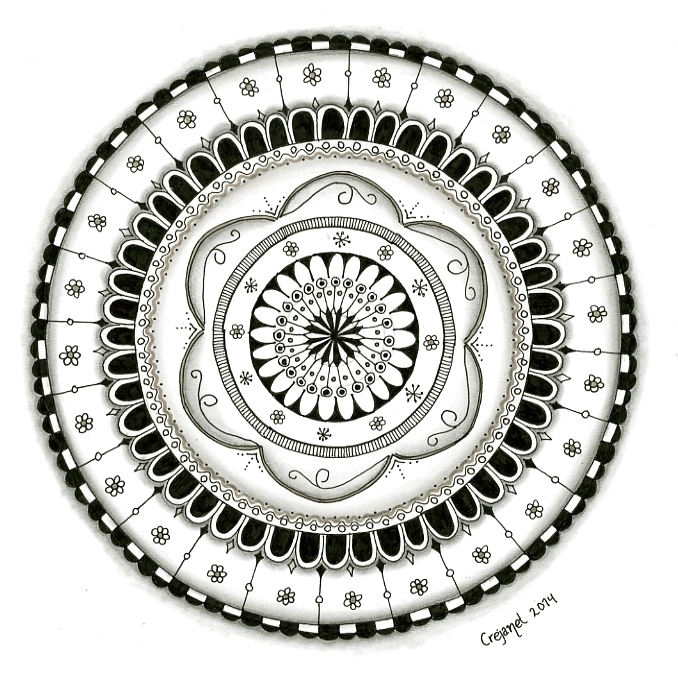 My entry in this week’s Zentangle challenge by The Diva. Really nice. I love that border and your shading really adds to the circle depth. Love this. Looks so delicate! Je hebt die heel mooi opgebouwd, compliment! Very nice. Reminds me of a plate. The white space really makes this beautiful. Not too busy. I like it! this is beautiful. Your line work is so precise.